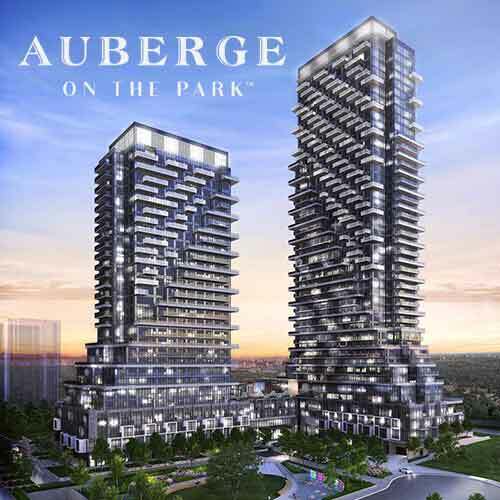 Auberge On The Park development project is brought to you by non other than “Tridel” and designed by Graziani + Corazza Arch Inc architects. Tridel communities are Built Green and this community will be built on the same principles. 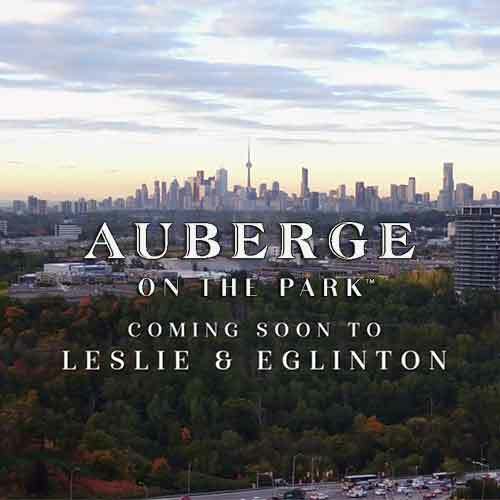 Auberge On The Park towers is a Luxury Residential Community located at 1095 Leslie St, North York, ON M3C 2K9 which is just south of Lawrence Ave E. This mega master-residential community by Tridel consists of three high rise residential buildings. Two of them will share same amenities. The building that will be launching first in Fall 2017 is the tallest tower which is tower C at 45 storey high and floor plan sizes from 525 sq. ft. to more than 2000 sq. ft. Also this Luxury Community will include some 2-level towns on the ground + 2nd level and 5th + 6th level. The 3 high-rise luxury condominium towers will include 1 bedroom, 1 bedroom + dens, 2 bedrooms, 2 bedroom + dens and 3 bedrooms spacious layout suites. Bigger Suites will be featured with huge wrap around balconies and terraces. Tower A which is 39 storeys high will have a total of 391 luxury suites, Tower B at 29 storeys will have 223 condominium units and last but not least is Tower C the tallest tower in this real estate development at 45 storeys high will boast 384 condominium suites - all 3 buildings in total with 998 units. The shinning pillars will have 4 levels of parking containing a total of 1048 parking spaces. Here you have everything you really really want, your friends are going to be insanely jealous when they hear that your new crib is with every awesome amenity that you could ever need or want. To just name a few of the amenities that will be offered at this spectacular condominium project are Yoga, Weight Room, Cardio, Fitness Room, His and Hers Change room, Swimming Pool, Media Room, Games Room, Dining, Entertainment Room, Party Room, Lounge Area, Cabana Deck, Bar, BBQ, Outdoor Lounge, Outdoor Dining, and just everything you could possibly want. Features and finishes are nothing but the best from Tridel and these 3 high-rise towers are not any different and expect the very best. Plank laminate floating floor, designer selected floor tiles in bathrooms, designer kitchen cabinetry in a variety of finishes, Granite or Quartz kitchen counter-top with polished squared edge, selection of glass or ceramic tile backsplash, brand name appliances and energy efficient fridge, stove, dishwasher, and microwave. In the bathrooms you’ll be able to choose from designer selected contemporary cabinetry with white cultured marble top, vanity mirror and white soaker tub. Stacked front loading dryer and front loading washer with Energy Star high efficiency. 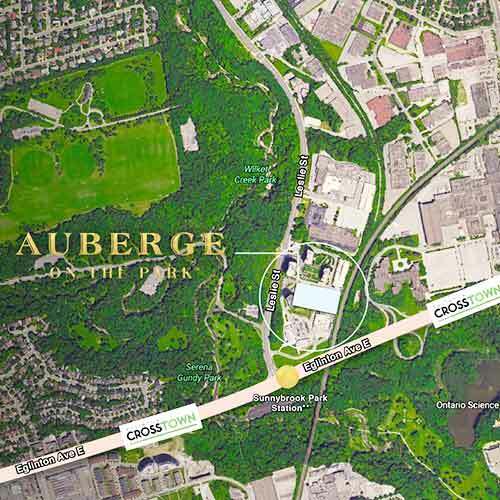 Auberge On The Park Condos was presently occupied by a 23-storey hotel and a 2-storey building with retail and banquet hall facilities that have already all been demolished. From city life to greener pastures, getting there is simple. Head downtown by car, or choose from multiple transit options. This is not just a condominium, it’s a luxury lifestyle living where everything is accessible. 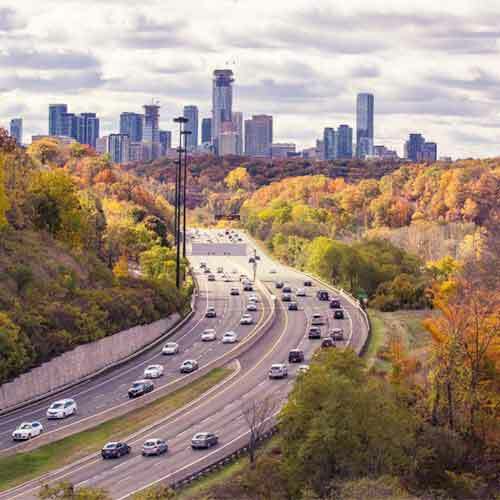 Its strategically positioned in a variety of highways DVP, 401and transit options like TTC at your door step and the future Leslie Subway Station that is part of The Eglinton Crosstown a 19 kilometre corridor, a 25 year and $50 billion plan light rail transit that will run across Eglinton Avenue between Weston Road and Kennedy Subway Station. The Crosstown is currently under construction and service will begin in 2021. 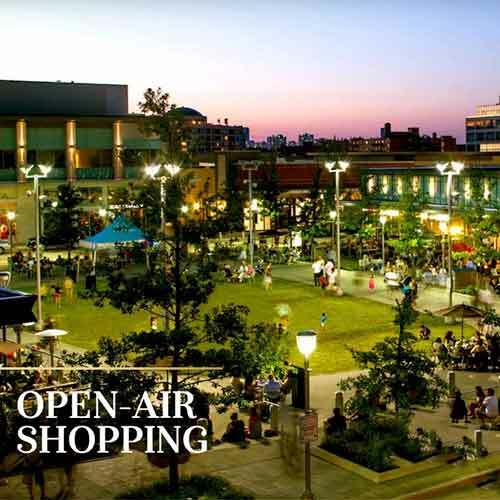 Other amenities and just a few minutes away are CF Shops at Don Mills to indulge in retail therapy, schools, restaurants, and if you’re feeling outdoorsy visit one of several nearby green space and get centred surrounded by nature. 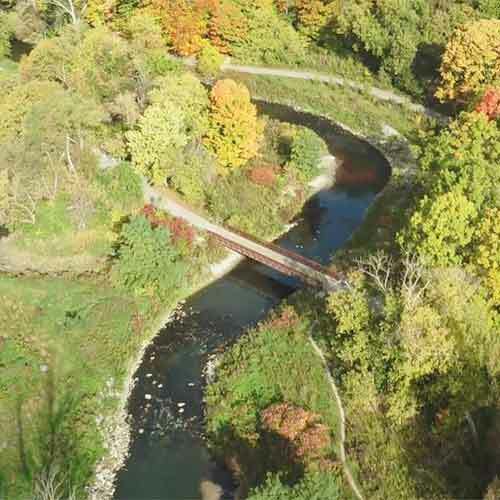 Green spaces at every view Edwards Gardens to the west, Sunnybrook Park & Wilket Creek Park to the south, Winfields & Bond Park to the north and to the east you’ll find Charles Sauriol Conservation Area. 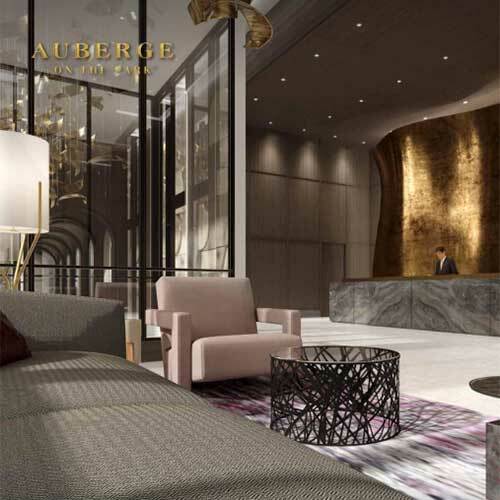 Auberge On The Park residential development will just be minutes away to everything you can imagine which puts you at the centre of the universe. 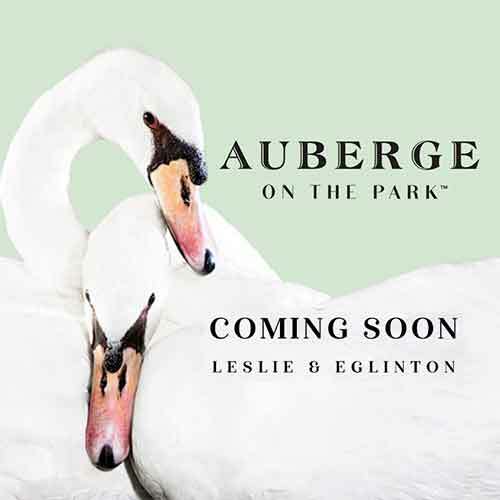 There are so many reasons to love Auberge On The Park Condos, No.1 is the fabulous Luxury condominium living at Leslie & Lawrence which is too good to be true. This is condominium living and lifestyle for the young and young at heart. For ballers, hipsters and fashionistas. 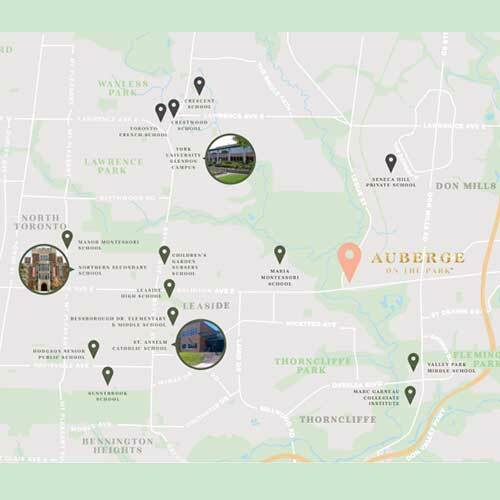 This is lifestyle and all in the middle of North York’s vibrant neighbourhood, built by the city’s top notch developer. Dropping architecture that’s a testament to your rocking style and unbelievable public spaces. The first tower for this phenomenal condominium development will be launching in October 2017 and it will be the tallest tower at 45 storey high with 384 suites and 370 parking spaces. 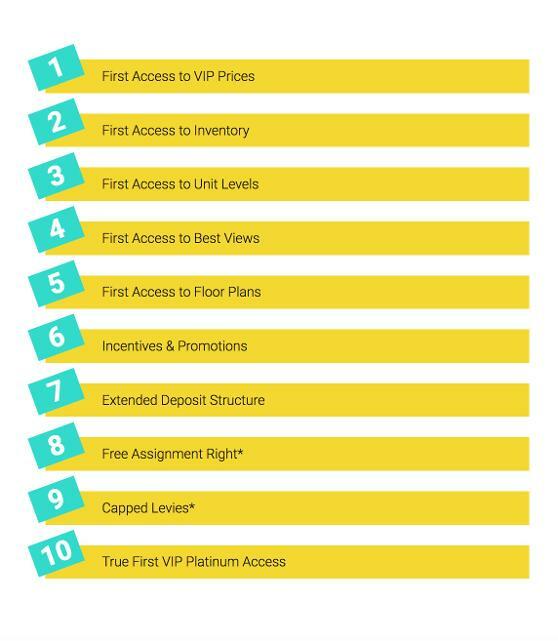 To receive Brochure, Floor Plans and Pricing as soon as it starts selling, please register here today. 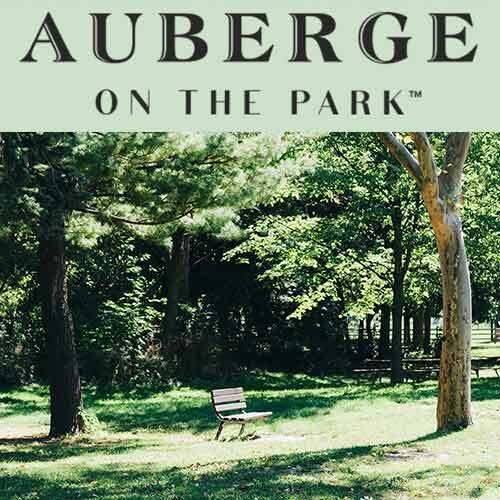 For more information, please register here today for Auberge On The Park Condominiums By Tridel. Register With Us Today For More Information!